Description: Book has very slight warp to front board. Light soiling to boards and spine. Name and date of 1890 on second fep. Location listed as "Florence." A very few pages have faint foxing on them. Pages are age toned at edges. 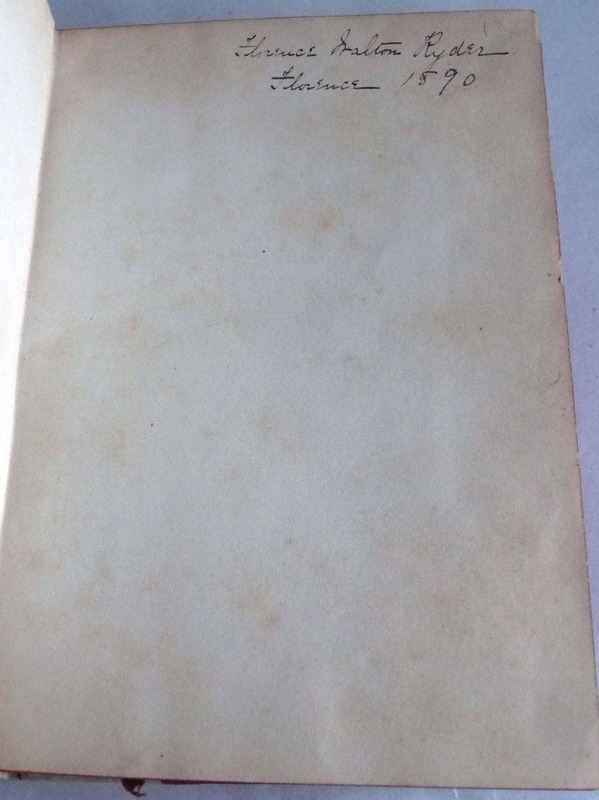 No date or publisher given. 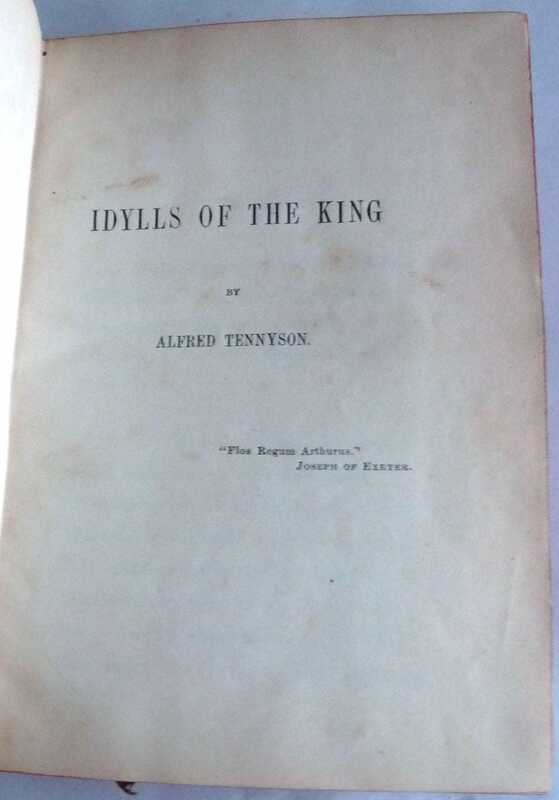 This book is authored by "Alfred Tennyson" with no reference to his elevation to the peerage, which occurred in 1884. 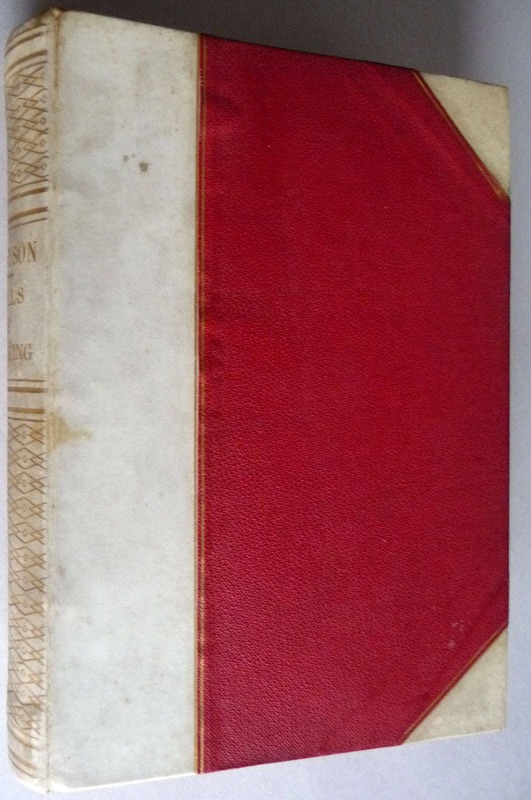 This book has red leather boards with quarter-bound white leather on spine and corners. Gold gilt title on spine. 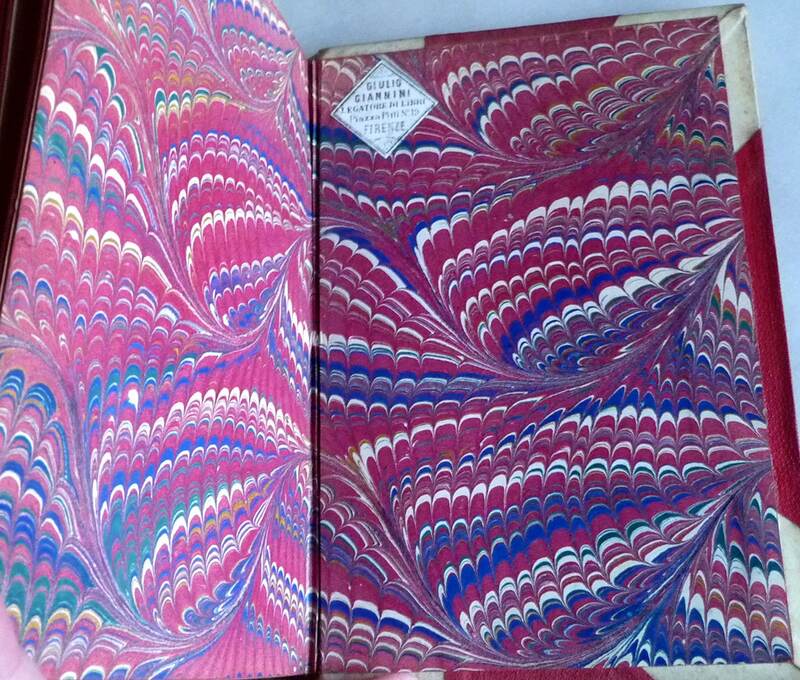 Beautifully marbled end papers. Red die on all edges. Sewn-in ribbon bookmark. This book has been (re)bound by the reknown Florentine bookbinder Giulio Giannini, most likely in the late 19th century. There is a provenance label in the back, on the rear paste down. Giannini established his shop in 1856 and his legacy carries on today through the 6th generation that is carrying on the family tradition of fine book binding. Size: 4.5 x 6.3 inches (16mo). Pages: Enid is 144 Pages; The Coming of Arthur is 158 pages.